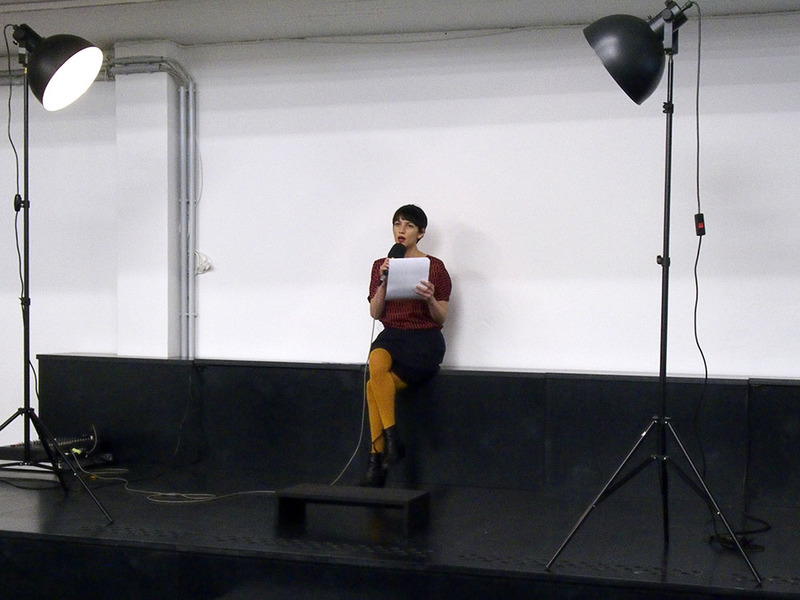 Opening speech as part of the exhibition "Impossible Show"
The show brings together a series of organic potentialisms that could - under certain circumstances - grow into a cosmos. They are divided into four different chapters or swans songs: a story of birds and timber, a tremor, an eruption and a trip to the beach. María Berríos is a sociologist, independent writer and curator. She was editor for Latin America of DOCUMENTA 12 magazines, 2007. In collaboration with Lisette Lagnado, she co-curated the exhibition "Drifts and Derivations" on experimental architecture in Chile and Brazil, Museo Nacional Centro de Arte Reina Sofía, 2010. She is a founding member, along with the artists Ignacio Gumucio and Francisca Sánchez, of the collective vaticanochico; they go on research expeditions, publish books and sometimes do art exhibitions. She has published extensively on contemporary Latin American art and culture, and is currently working on her PhD in Sociology in Goldsmiths College, University of London, on rumours, conceptual humor and disappearance as a form.